Mt. Goyro-yama (御料山 - 596m) is the unassuming little peak above the now derelict (as of 2008) Kami-Sunagawa-dake International Ski Area (上砂川岳国際スキー場). The views are modest, stretching across to the Iwamizawa Plains and Mt. Pinneshiri to the east, and Mt. Bibai to the south. The main attraction is a gorgeous, short hike along the ridge from the top of the ski field to the summit. 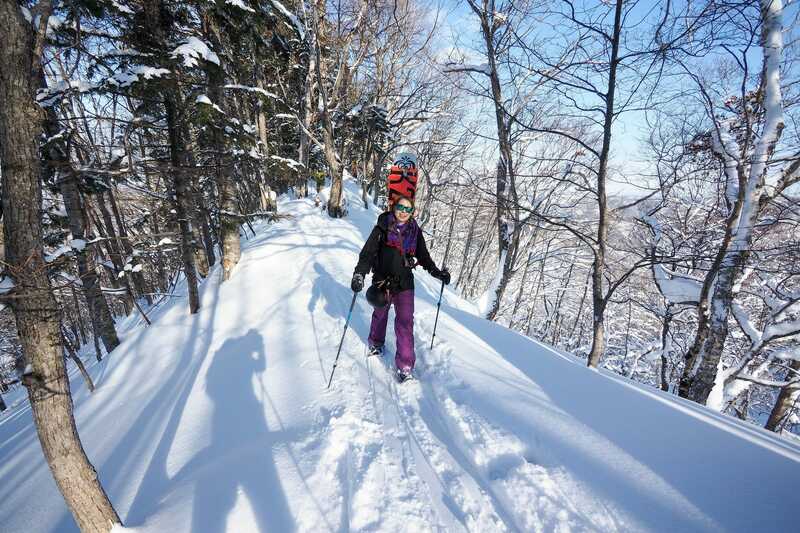 The upper slopes of the old ski pistes are also fantastic for untracked downhill skiing - if you can get there early in the morning before everyone else. The Panke Onsen hotsprings - one minute walk from the trailhead - are the cherry on the top of a nice day out. This Mt. 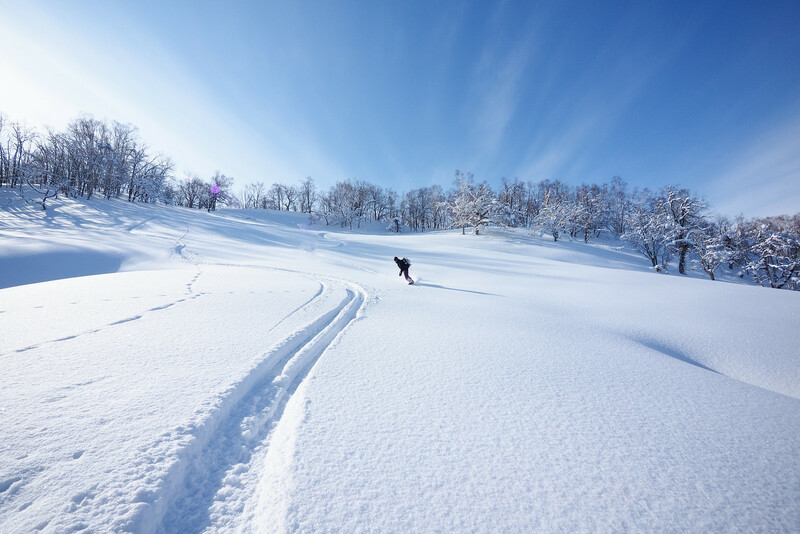 Goryo-yama and Kamisunagawa-dake Ski Area ski tour is nestled in the hills west of Sunagawa City (trailhead Google Maps location), about 2 hours drive north northeast of Sapporo City. 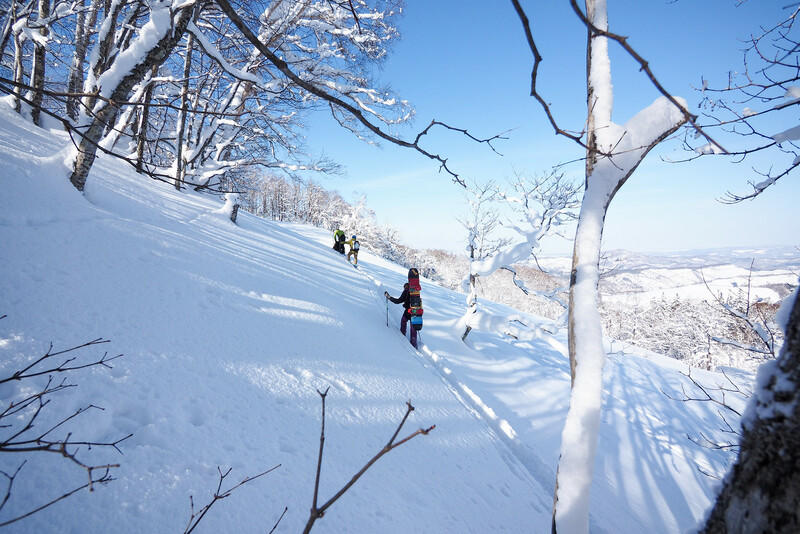 The Kamisunagawa-dake International Ski Area was opened in 1971, in the booming coal-mining days of Kamisunagawa Town. Around this time, the town population was around 15,000 people, and a year earlier the Panke Onsen (then called the Kamisunagawa-dake Onsen) was opened. The coal mining boom in the area finished around 1987 with the closure of the Mitsui-Sunagawa Coal Mine. Even before the closure of the mine, however, the population of Kamisunagawa Town was less than 10,000 in 1985, and was only 3,500 in 2015. With all of this depopulation, the ski area was closed in 2008. 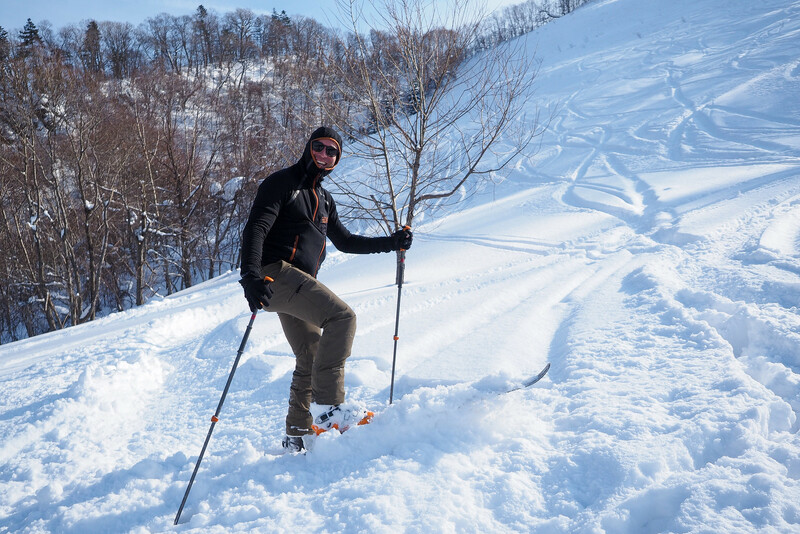 It is now known as an accessible place to get some tree-free powder runs – the hike up from the carpark takes less than an hour. From the top of the ski area to the Mt. Goryo-yama peak is a mostly-flat 20-minute hike. 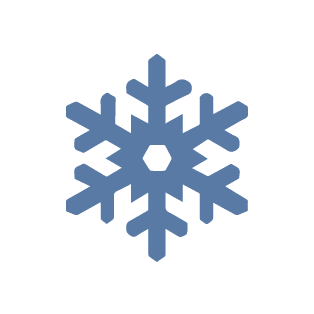 Legality of ski area use: I have seen blog posts and reports from around 2015 that mention there being signs prohibiting unauthorized access to the ski slopes (e.g., this post). However, when we were there, we did not see any signs to this effect, and from other recent blog posts I’ve seen, neither have other people (e.g., this post from March 2017).  In any case, use the cleared ski slopes at your own risk and obey all signs posted. From the top of the ski run to the Mt. Goryo-yama peak there are sporadic pink ribbons tied to trees. From the peak there is a very short, mellow run into a small bowl. A deep gully prevents access directly from the peak back down to the ski area – you’ll have to return via the ridge you came on. The peak is marked with two ribbons tied around a tree – there is no name plate or sign marking the summit. At a slow but steady pace, it takes just under an hour to get to the top of the old ski field, and another 30 minutes or so to get to the summit of Mt. Goryo. Bank on just under 1 hour to get back to the car park. This route is not accessible by public transport. 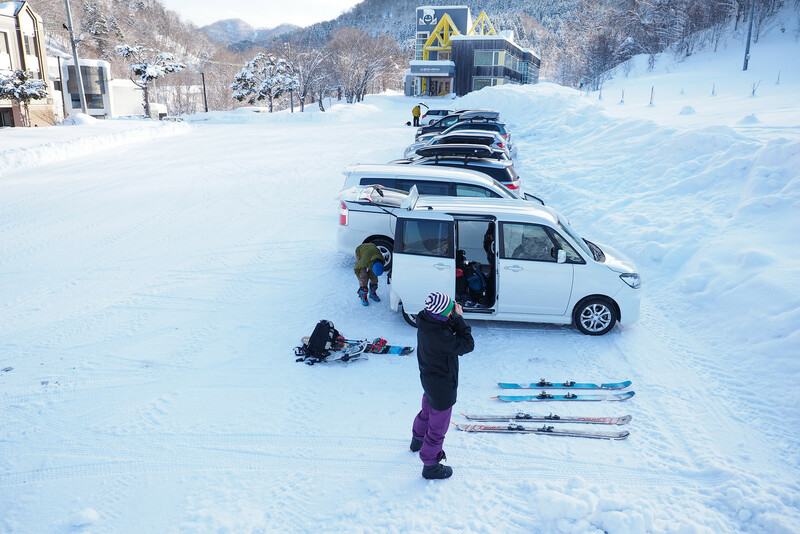 There is a car parking area at the base of the ski area (here). When we were there in January 2018, there was a sign at the lower parking area asking skiers to use the upper parking area. 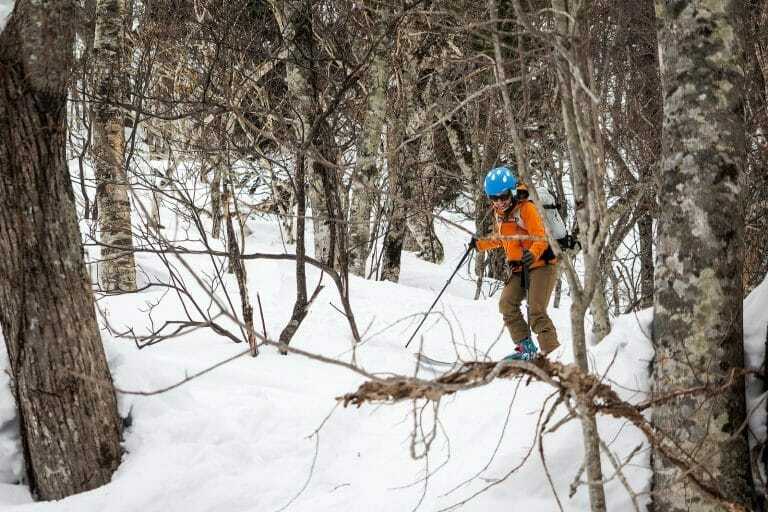 The closed ski area is of course not patrolled and is not managed, and is therefore the backcountry. There are sections of the ski area which are around 30 degrees in angle. This is within avalanche steepness, so don’t be complacent. 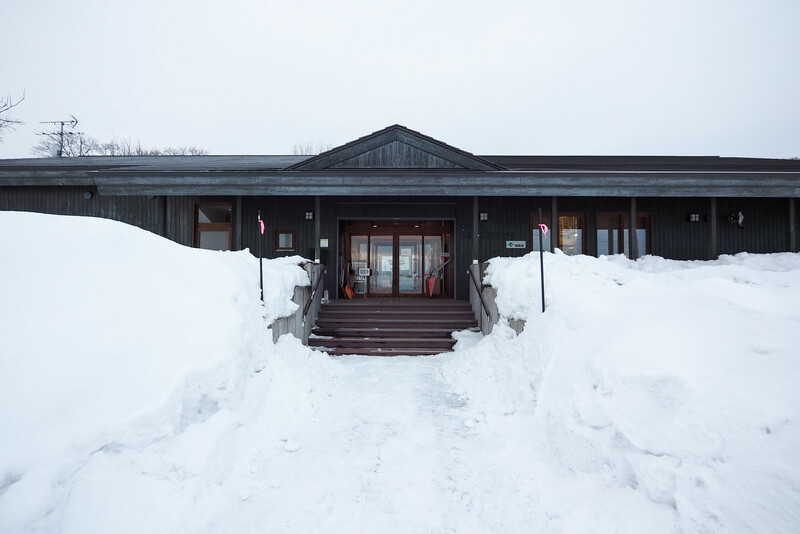 Panke Onsen is right at the foot of the ski area (here). 500yen per person for the onsen. 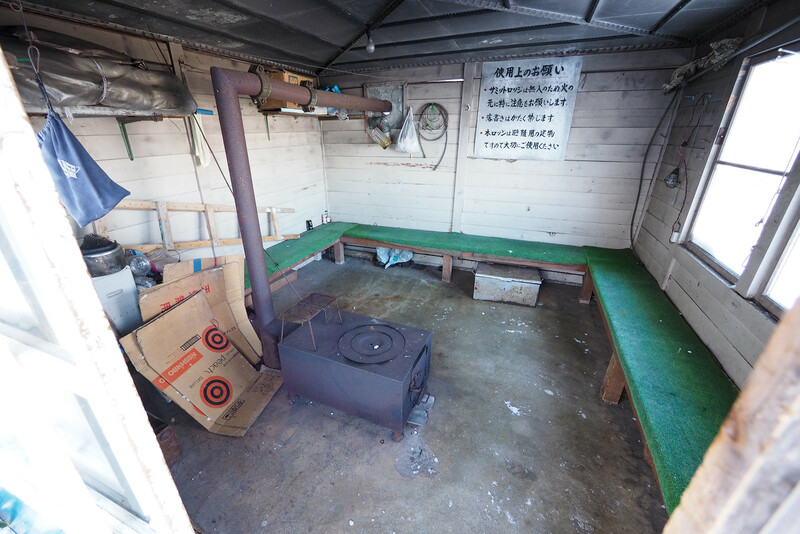 They also offer accommodation at around 3,500yen per person per night. 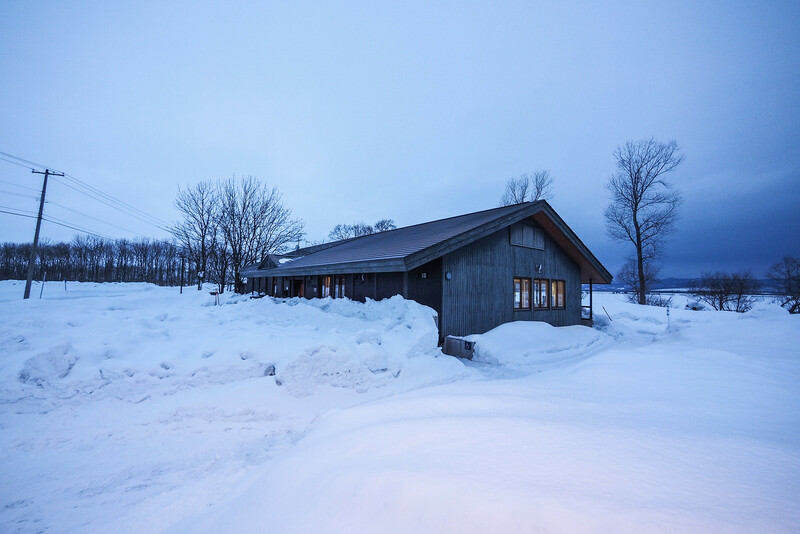 There is a basic restaurant at the onsen, open 11am till 2pm for lunch, and in the evening for evening meals. 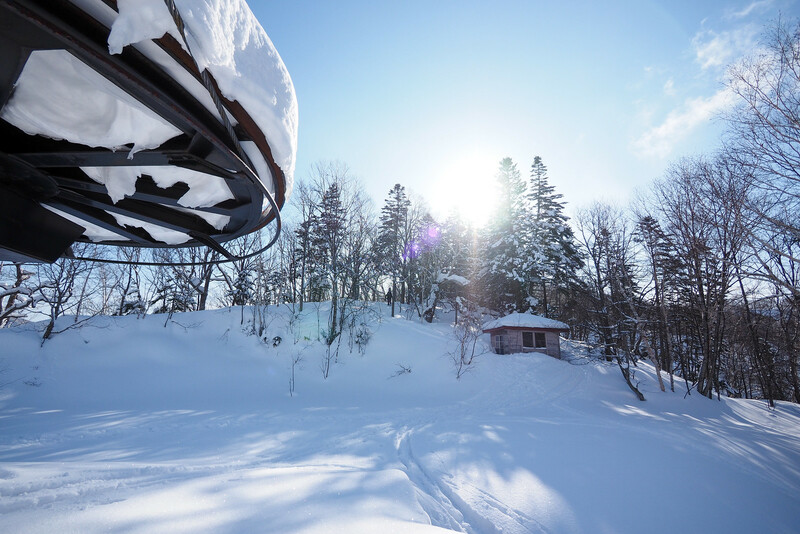 There is a ski resort map on this information page (in English) about the Panke Onsen at the foot of the ski runs: https://good-hokkaido.info/en/kamisunagawa-onsen/ (image backup). 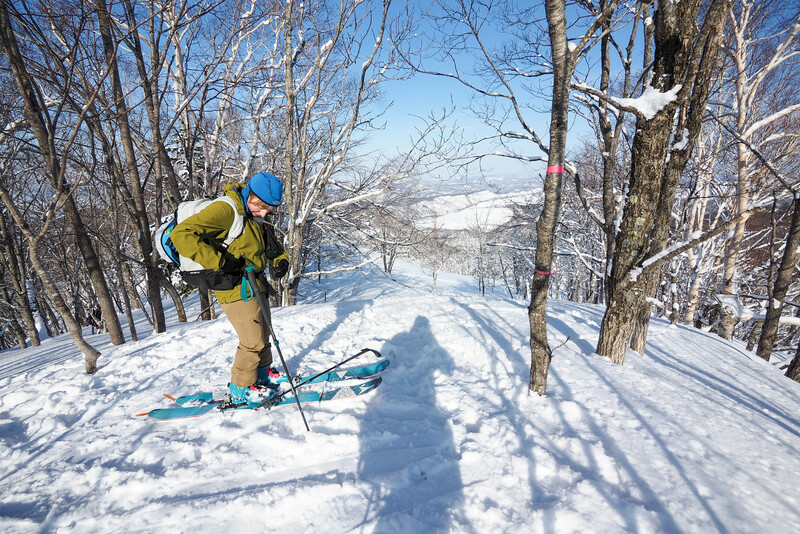 If you’d like to ski this route and/or explore areas north of Sapporo together with a local certified guide, get in touch with either Wataru Nara or Takao Miyashita. 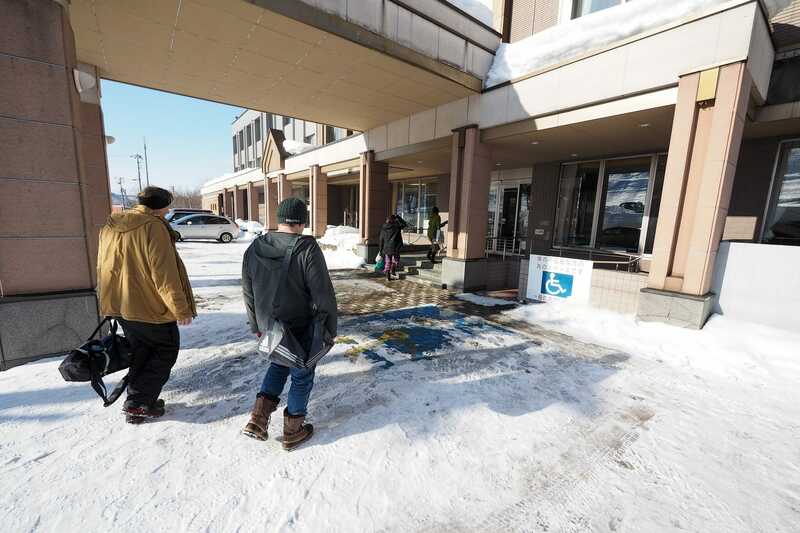 They’re both born-and-bred Sapporo-based guides. 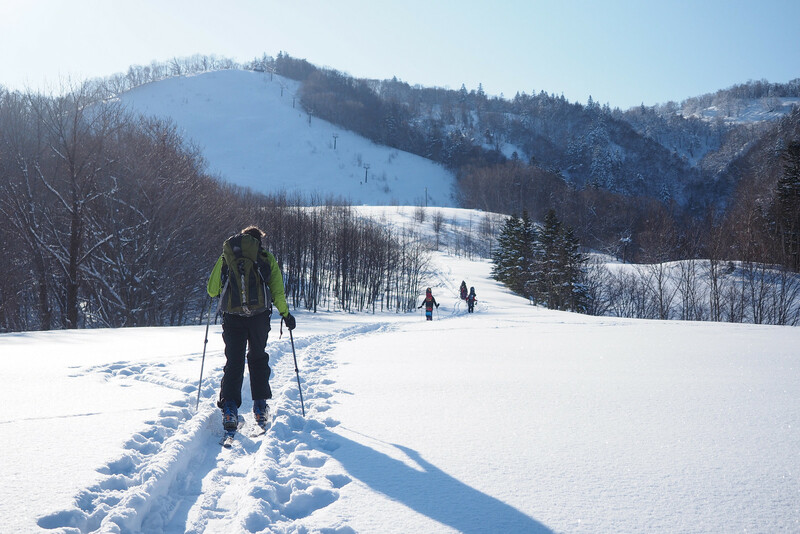 They both cut their teeth on peaks including those in northern Hokkaido, have taken part in major international expeditions, and are senior figures in the local guiding and outdoor associations here in Hokkaido. “This is a bitterly cold ski area, but with that comes the best powder snow. 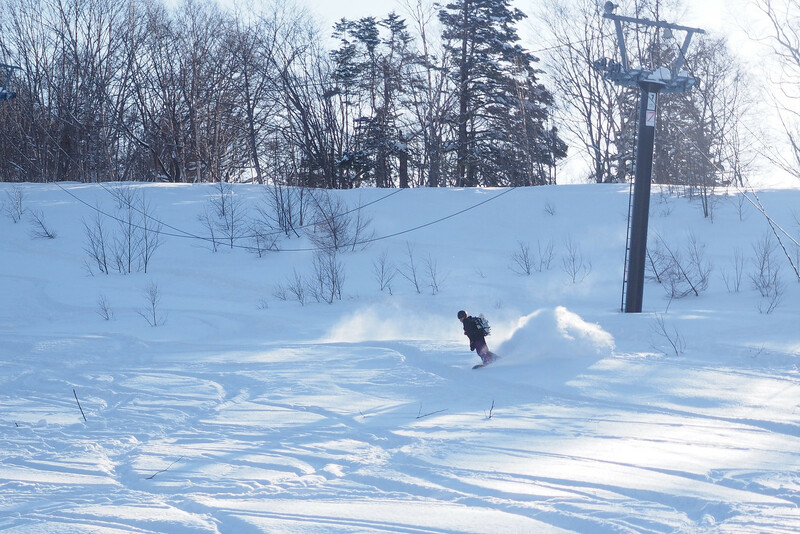 There are plenty of skiers visiting by car from Sapporo, and the pistes are full of gaiety with couples and girls. 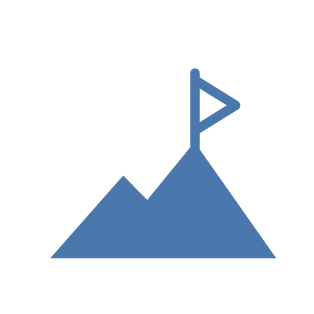 The slopes, appealing to beginners to experts with their varying steepness, are furbished with three lifts (730m, 724m, 754m), and allow skiers to enjoy the true pleasures of skiing. 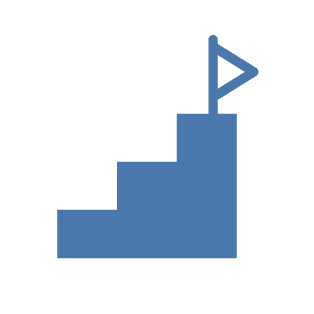 The touring course is 3km long, complete with course markers, allowing even beginners to safely enjoy the course” (translated from an entry in the 1995 Complete All Ski Area Guide, detailed here – entry backup). 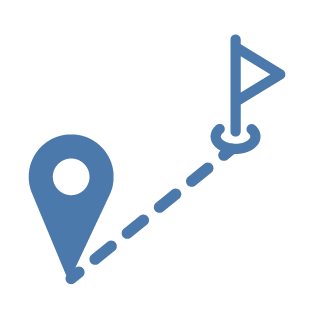 “This popular ski area boasts a large piste area of 30 hectares and high quality snow. 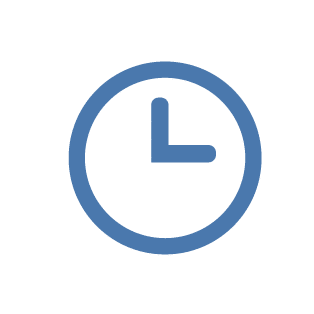 With 2,000m of downhill slopes including 800m of 30-degree steeps and a range of other angles on three pistes, it will satisfy a wide range of skiers from total beginners to experts. 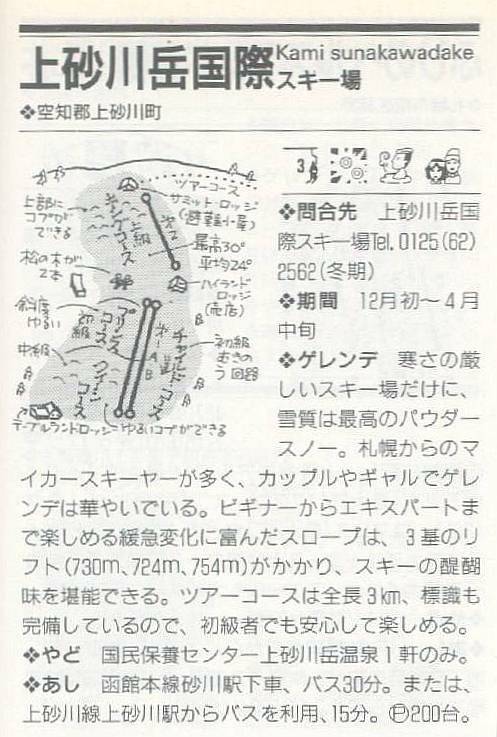 Of course it is complete with night skiing” (translated from an old ski area information entry here). 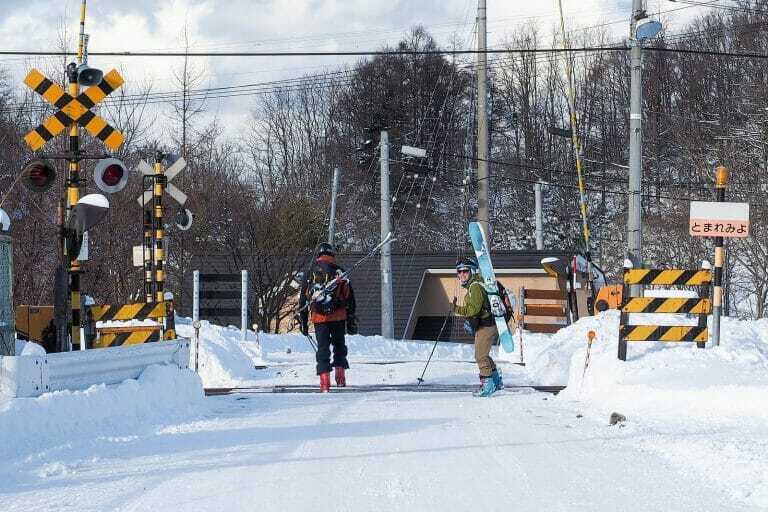 For a few years I had heard rumors of a popular derelict ski area northeast of Sapporo. It hadn’t been high on my list of places to visit, however, as trudging up a slope devoid of interesting trees and landscape didn’t really appeal to me. After doing some research, however, the small peak (Mt. Goryo-yama) to the east of the top of the ski runs looked interesting, and the weather forecast for this weekend looked fairly bleak in most places in Hokkaido. 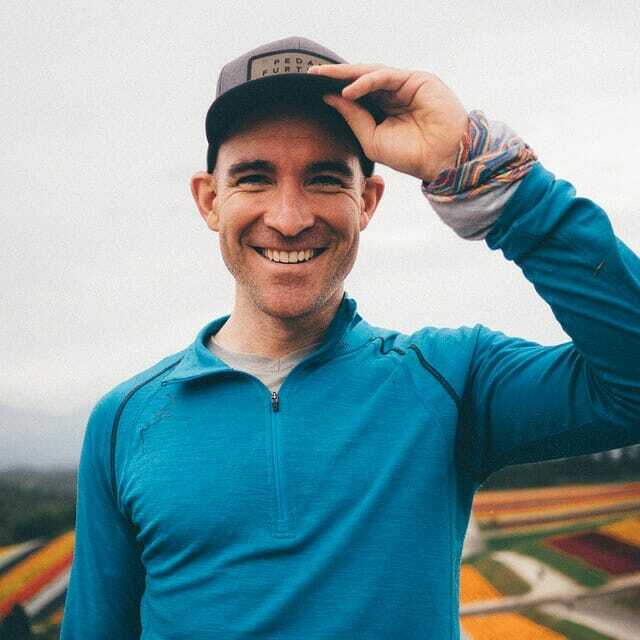 An easily navigated derelict ski area and an easily attainable peak in less-than-good weather conditions sounded like a nice bad-weather weekend option. 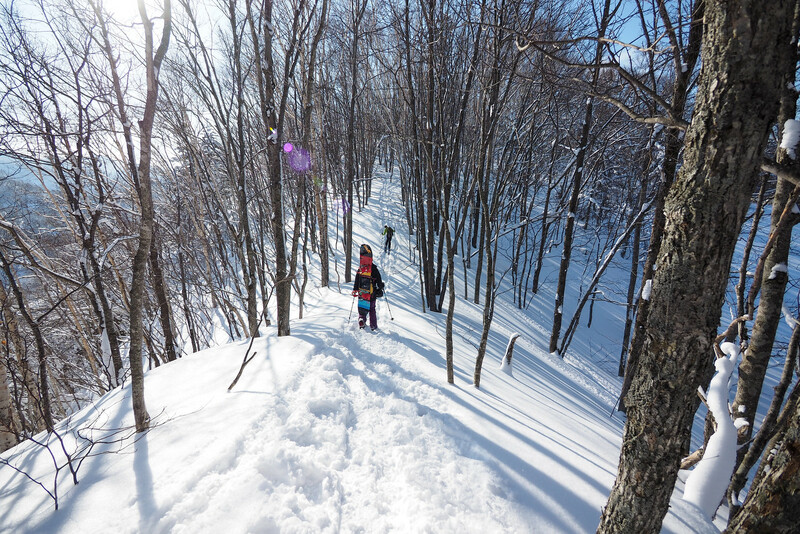 So a few of us made the 2 hour trek out of Sapporo City early on a Saturday morning, hoping to get some fresh tracks. Despite leaving Sapporo at around 6:30am, however, by the time we got to the Panke Onsen carpark, there were already about 10 cars. This is clearly a popular spot to get some backcountry skiing in. 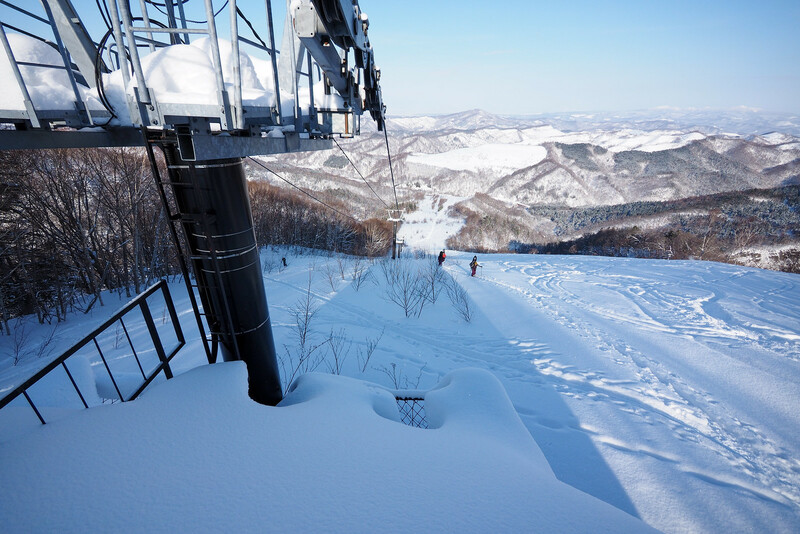 From the carpark, you’ll likely be following skin tracks that go straight up the hill. 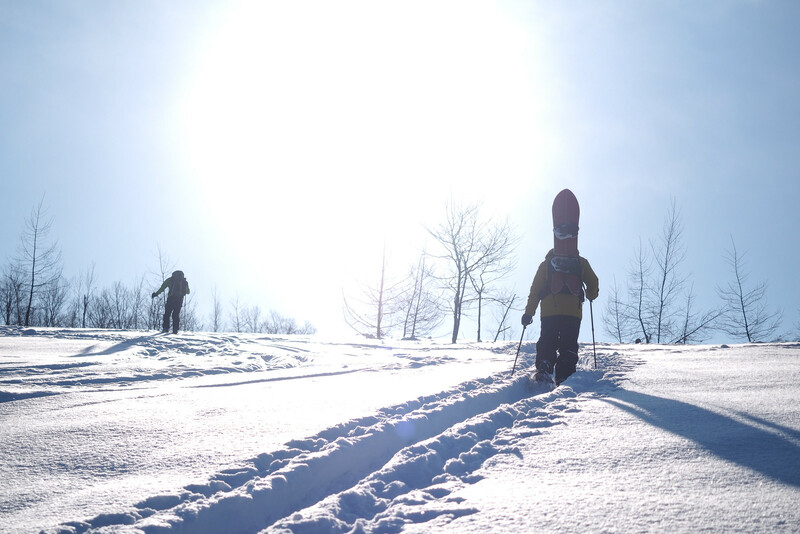 Those of us on skis decided to cut our own skin track to traverse and zig-zag up the hill at a more civilized angle. In all it took just over an hour to get to the top of the ski runs. 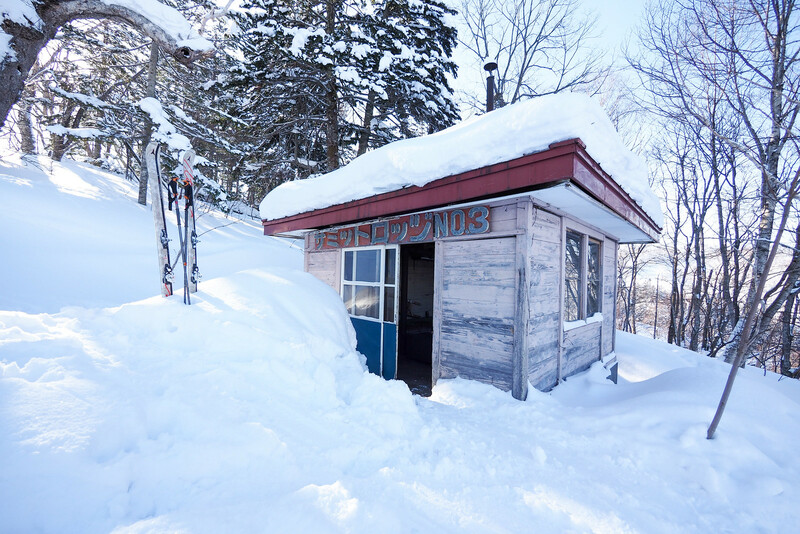 At the top is an emergency hut, which is unlocked and can be used for taking a break. Signs inside the hut remind users to treat the place with respect. There is a stove in the hut, but no fuel available for use. From the ski area summit hut, there is the option to carry along the summit ridge to the diminutive summit of Mt. Goryo-yama. From the top of the ski area it is about 20 minutes to the summit. According to the map and description in the 1995 Complete All Ski Area Guide (outlined here), the route to the summit of Mt. 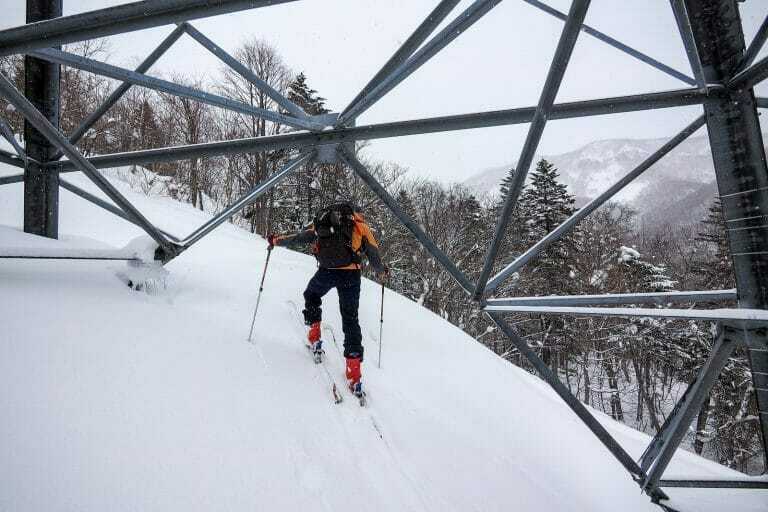 Goryo-yama seems to have been designated as an official ski touring route – complete with route markers – when the ski area was functioning (see that entry here). I found this out after the fact, which now lays to rest the question of what the mysterious metal sign-looking thing was that we saw attached to a tree along the way. The peak of Mt. Goryo-yama is fairly non-descript, and doesn’t have any markers beyond a couple of pink bands of ribbon tied around a tree. 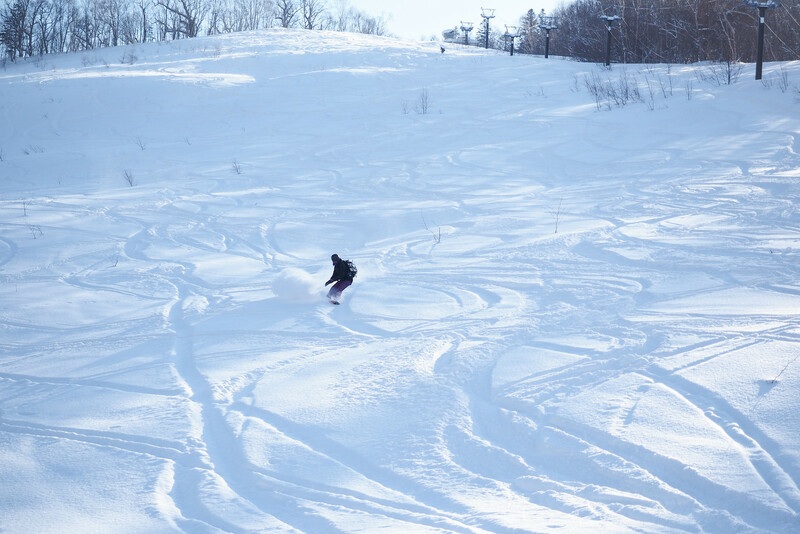 The view is also fairly non-descript, and there isn’t much of a downhill at all from the summit – about four or five turns on a very mellow gradient. That said, it really is a beautiful little microcosm of backcountry woods. I had hoped that we’d be able to ski from the summit directly downhill towards the ski area. The topographical map doesn’t show the deep gully separating the summit from the ski area as the crow files, however, so to get back to the ski area the only option is to go back the way we had come. As can be seen in the photos above, it was relatively tracked up for us early on a Saturday afternoon. Mid-week after a good snowfall would be epic. We finished the day off with a soak in the Panke Onsen just across the road from the ski area carpark. 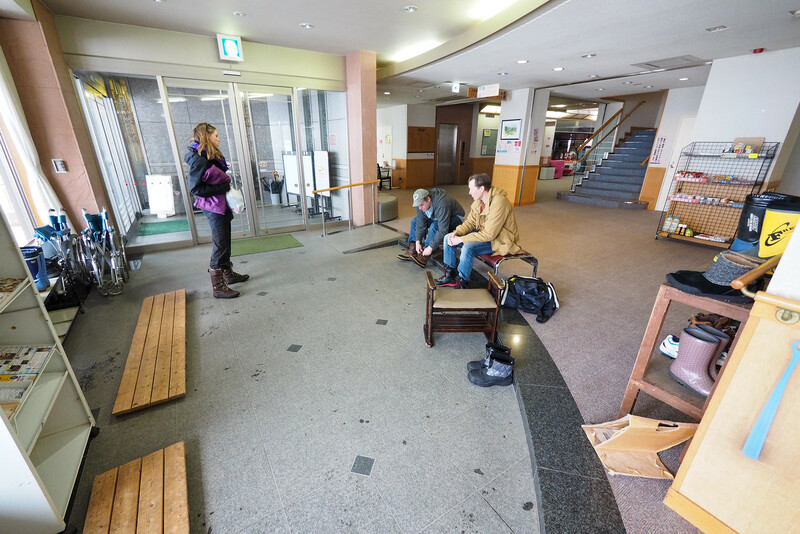 There’s no open-air bath at this onsen, but it was still good for soothing some tired muscles. 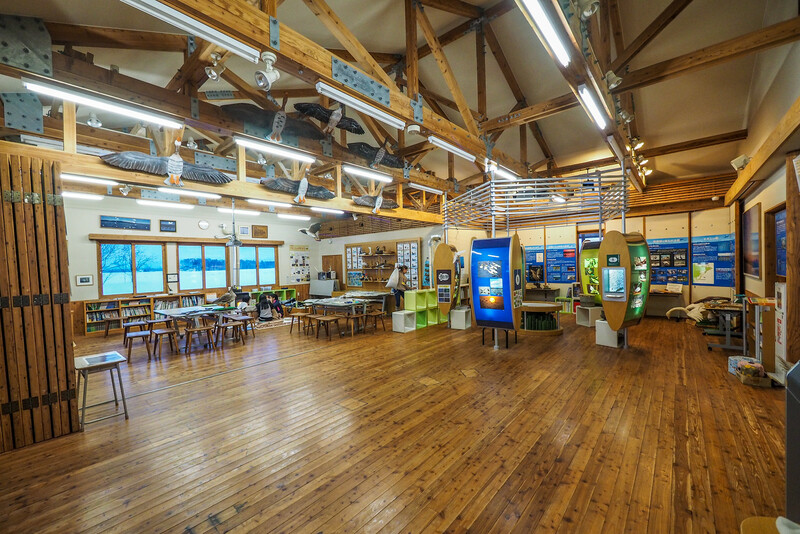 On the way home back to Sapporo, Haidee and I visited the Miyajima Pond Wildlife Center in Tsukigata Town, on Route 274 (here on Google Maps). We had been to Miyajima Pond a couple of times previously (to see migratory geese), but never in winter. Also, owing to the fact that we’d always been there just at day-break to see the geese, we’d never had a chance to take a look inside the wildlife center. 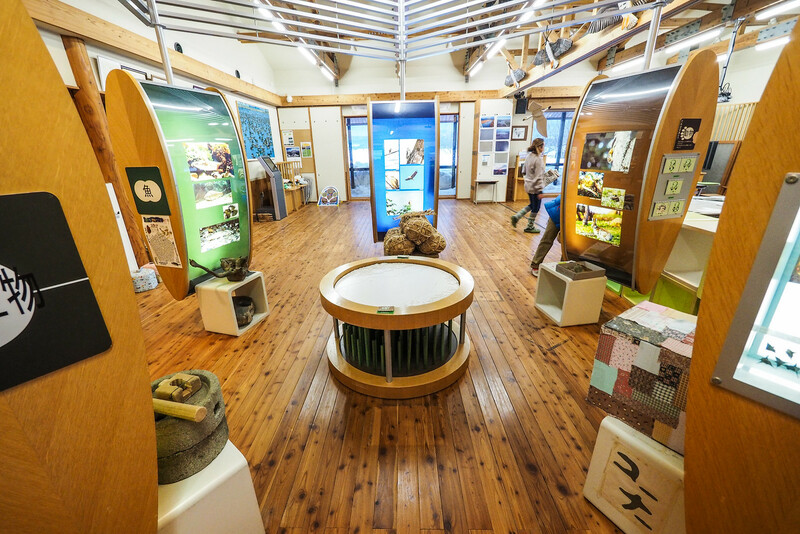 Miyajima Pond is designated as a RAMSAR Wetland of International Importance (site no. 1201), and is an important home to geese that fly north and south at different times of year. 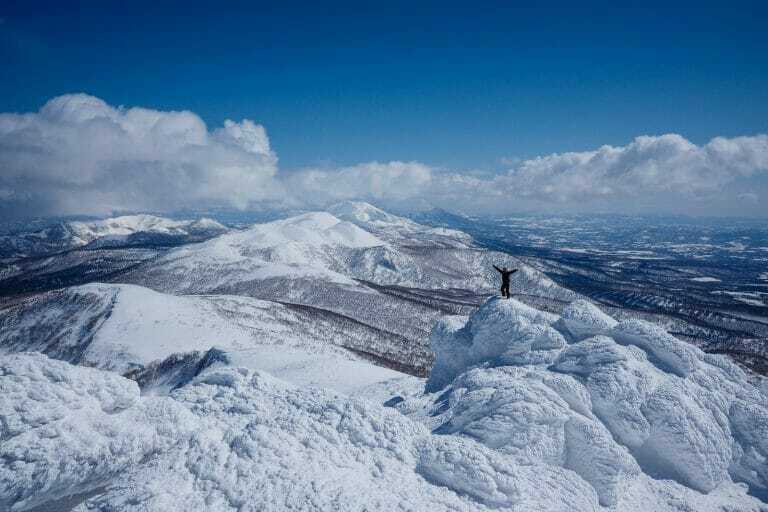 It is well worth a visit if you’re heading back to Sapporo City via the Route 274 backroads. 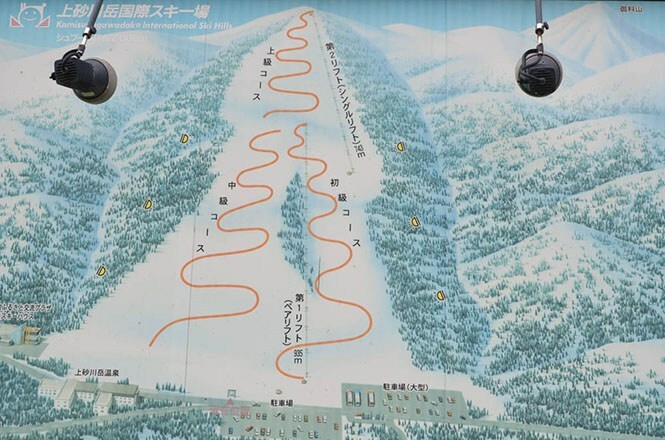 Done this route to Kami-Sunagawa Ski Area (derelict), or others nearby?  Thinking of doing it? 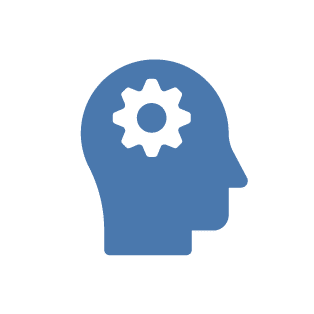 Please post any feedback, reports, or queries here. Thanks! Hey Matt, thank you for the great feedback! The more I see of Japan the more I want to go especially that it hasn’t snowed in North America for months. Might have to plan a trip next year. Enjoy the EPIC pow!